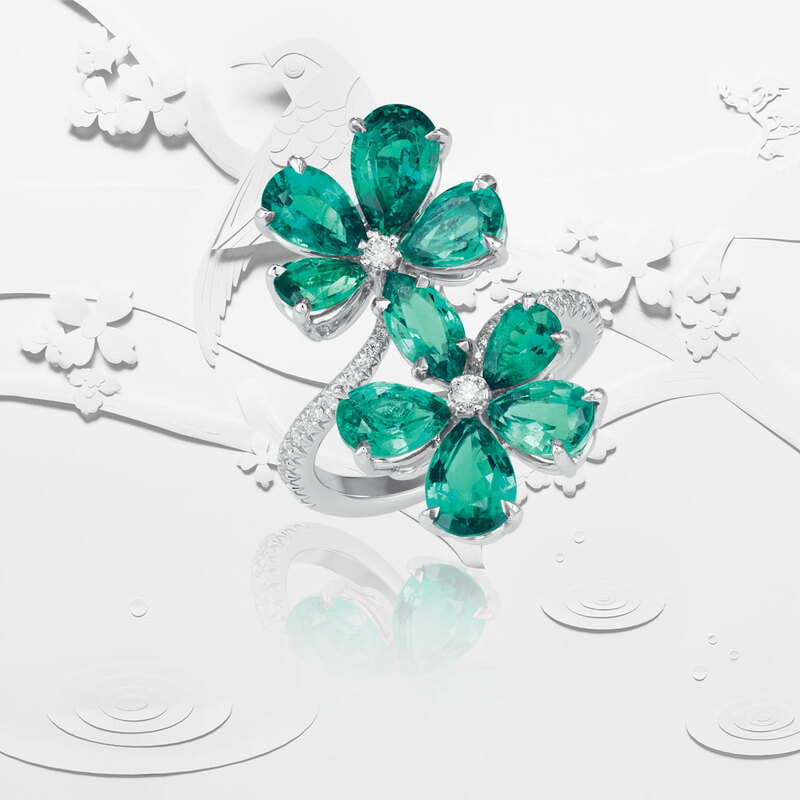 At Chopard, jewellery creations stem from a precious blend of elegance, expertise and originality. With For You, a fine watch and jewellery collection, the Swiss-based Maison flirts with demystified luxury, embodied in dainty ready-to-wear pieces. The models that emerge from the Chopard High Jewellery ateliers are distinguished by the creativity, the attentive care and the extreme sensitivity devoted to crafting them. Ancestral skills and cutting-edge technologies meet and mingle resulting in exceptional models epitomising impeccable technical mastery and ranging from artfully crafted treasures to fine jewellery models. The For You collection – composed of dainty creations, – is a perfect embodiment of this fine jewellery expertise and brings a light and airy touch to the High Jewellery world. 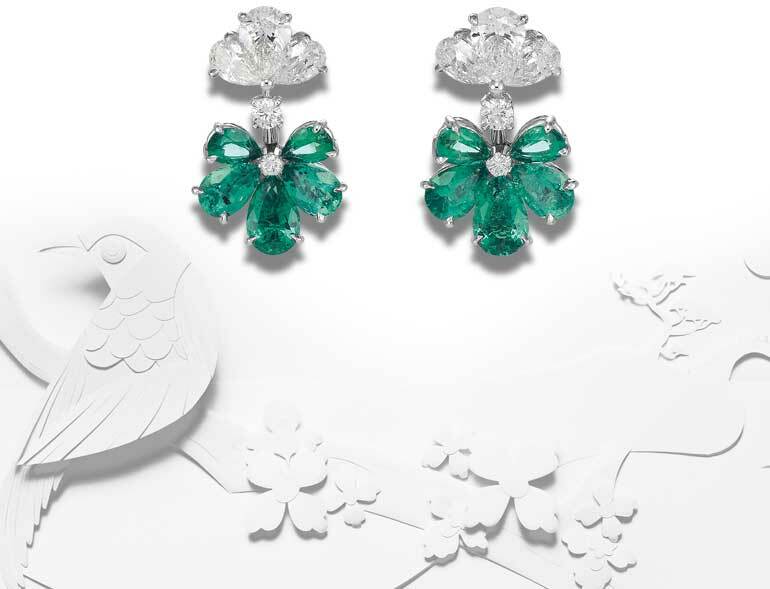 Cherry blossoms are at the center of this line inspired by springtime and introducing white gold jewellery sets featuring rings and earrings studded with diamonds or emeralds. Stud or cluster earrings, single rings or “You and Me” versions composed of two flowers facing each other: For You jewellery is graced with delicate pear-shaped diamonds or emeralds blossoming in a sparkling corolla around a brilliant-cut pistil. 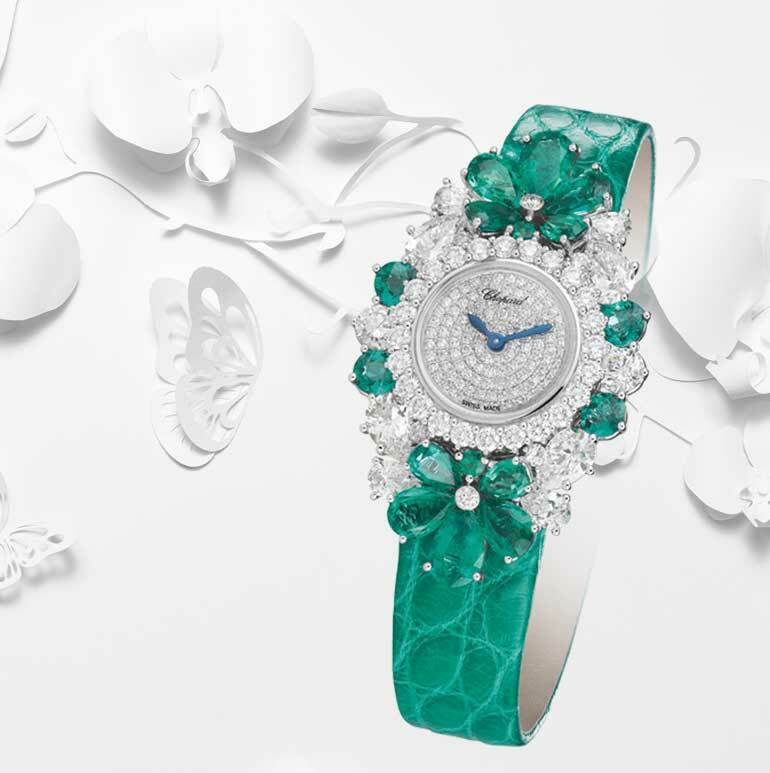 The collection is complemented by a jewellery watch set with pear-shaped and brilliant-cut diamonds or emeralds. Other gems will soon be making their appearance, offering colourful new interpretations of the collection. For You is the new definition of discreet luxury. 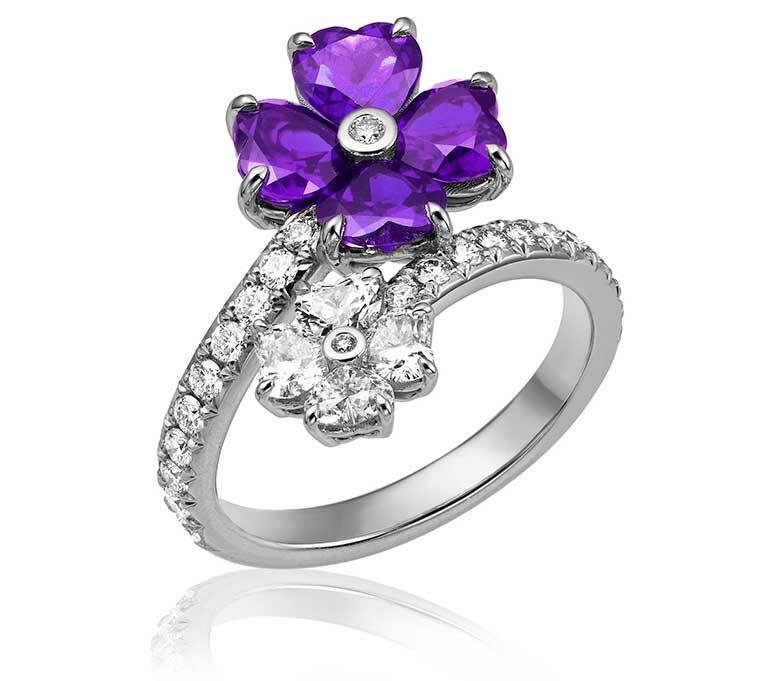 Love and good luck find their finest expression in the shimmering reflection of vividly colored stones. Heart-shaped sapphires, diamonds, amethysts, emeralds and rubies assembled in groups of four form vibrant petals, the diamond at their center creating a romantic flower set in white, rose or yellow gold.